"Oh no. Don't say that it's true." A dark day indeed. RIP David Bowie. A true giant of the music world if ever there was one. 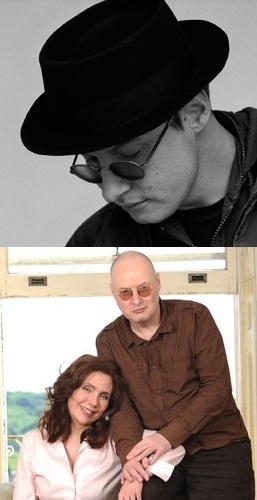 For several years late in the decade Andy Partridge was one of the most interesting/disturbing/exciting/innovative and talented songwriters/singers/guitarists in popular music. Songs such as "Dear God", "Merely a Man" and "Mayor of Simpleton" to name just a few kept power pop relevant in the days leading up to the grunge onslaught. Partridge's lyrics were brutally cynical and took on all comers from religion to politics to consumerism with a vitriol that seemed not quite consistent with his baby-faced, good boy looks. After contract disputes led to the end of XTC following the stellar album "Nonsuch" Partridge became something of a musical vagabond which is what he remains to this day (XTC, says Partridge, is something he thinks of "in the past tense"). He lives a fairly secluded life with his long time gf Erica Wexler and is fond of creating his own board games. Pink Floyd - "Comfortably Numb"
After a long time away during which I've been helping my friend Rich Chambers with his film projects I've decided to get the 80s party back on track as best I can while working around shooting schedules and post production obligations. What better way to conjure the glorious 80s than with the desperate lyrics of Roger Waters and perhaps the greatest guitar solo in the history of rock from David Gilmour. Yes, we're going to get this party re-started with "Comfortably Numb" from Pink Floyd's "The Wall"; a snarling dragon of a concept album if ever there was one. No need to remind me it was released in November '79 because it doesn't matter. This album laid down the tone for the decade to come. On March 30, 1981 Ronald Reagan was leaving the Washington Hilton hotel in D.C. when a deranged man in the crowd outside the hotel opened fire on his entourage at it approached the Presidential limousine. Upon hearing the first shots Secret Service agent Timothy McCarthy did the unthinkable - or at least what would be unthinkable to the vast majority of human beings - he turned to face the fire spreading his body wide to use as a shield between the gunman and Reagan. No sooner had he turned than he took a bullet in the gut and fell to the ground wounded as the President's limo sped away. It was an unmitigated act of valor. An extraordinary expression of the professionalism and dedication of the people assigned to the Presidential Protection detail. So where is Timothy McCarthy now? After spending several hours in surgery following the shooting to remove the round from his abdomen, McCarthy made a full recovery. In 1993 he retired from the Secret Service after running the Chicago office for several years. Since 1994 he has been Police chief of Orland Park Illinois. 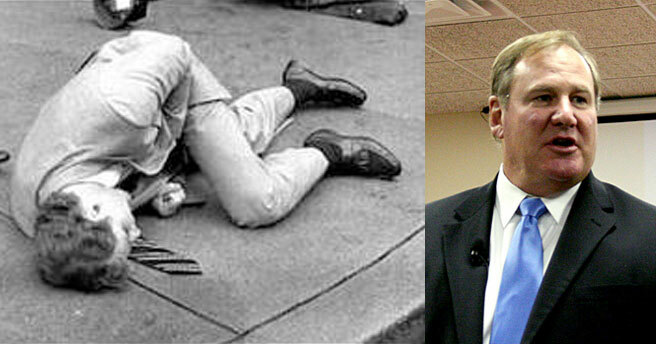 (left) March 30, 1981: Agent McCarthy after taking a bullet protecting the President and (right) in a recent photo. The modern "blockbuster" art show has come and largely gone over the last 30 years. Sure there are occasional exceptions like the recent Leonardo show in London but for the most part the day when a new year meant at least one new retrospective by some titan of art are dead and gone, killed off by insurance companies. But lets wind the clock back to the happier days of 1980 when the art blockbuster - as an entire generation of art lovers came to understand the term - was born. 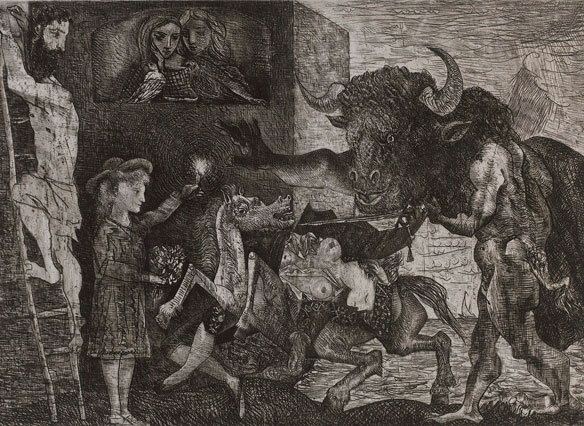 The event which gave birth to the new cultural phenomenon was the Museum of Modern Art's Picasso retrospective. This massive, thrilling, disturbing, enlightening and exuberant show took over MOMA from May 22 until September 16 of that year and was as much an eye opener for museums around the world as it was for lovers of modern art. Hundreds of thousands of patrons moved through MOMA's turnstiles and were rewarded with a comprehensive overview of one of the most widely known yet little understood artists who ever lived. The exhibition took over the entire museum, an unprecedented occurrence but a necessary one as nearly a thousand works were included in the show. Day after day lines stretched down West 53rd Street . Inside awaited room after room of paintings that changed the course of visual history. From "Les Demoiselles D'Avignon" to "Still Life with Chair Caning" to "The Three Musicians" to the to the mindblowing graphic work of the 1930s "Pablo Picasso: A Retrospective" prepared the ground and set the bar for blockbusters that followed and made the 1980s a golden age for art lovers. 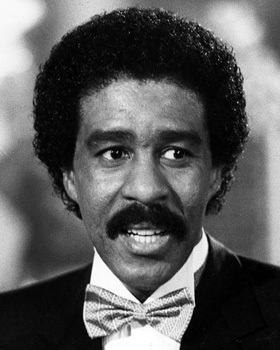 Richard Pryor emerged from the 70s one of the biggest stars in the world. He seemingly had it all: money, fame and beautiful lovers. None of it though was apparently enough and like a lot of stars with money and time on their hands Pryor got into drugs. Most notably freebasing cocaine. On June 9, 1980, in one of the decade's more bizarre celebrity-related events, Pryor was discovered running through the streets of Northridge California on fire. He was eventually caught and taken to the hospital by police where it is said he suffered burns on more than half his body. Initially nobody knew what to make of the incident but it wasn't too long before the facts began to emerge and paint a picture of a man who, in a fit of freebase-induced psychosis, had poured flaming 151 rum over himself then fled into the streets in panic. Pryor spent six weeks recovering at the Grossman Burn Center and when finally well enough to resume his career didn't shy away from the incident. On the contrary in typical Richard Pryor fashion he faced it head on making frequent reference to it first in his standup routine and later in the movie "Jo Jo Dancer, Your Life is Calling" a fictionalized account of the incident and its aftermath. New footage has just surfaced of the Challenger disaster. The short Super-8 film was taken by Jeffrey Ault from his viewing spot at the Kennedy Space Center 10 miles from the launch pad. The film gives the best view I've ever seen of a launch as you get a feel for just how fast the shuttle is going as it roars into space. The footage was licensed by the Huffington Post and you can read their entire accompanying piece here. Terence Trent D'arby (or Sananda Francesco Maitreya as he is now legally called) burst onto the music scene with his 1987 album "Introducing the Hard Line According to Terence Trent D'arby". The album was a massive his and spawned two hit singles: "Wishing Well" and the track here "Sign Your Name". For my money this is one of the best R&B tracks of the decade. Former UN chief Kurt Waldheim... a Nazi? 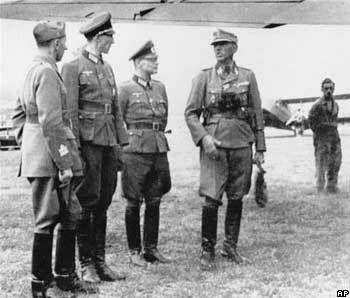 Kurt Waldheim (second from left) during WWII. The UN, formed out of the dust-clouds of World War II when the Nazis murderous rampage through Europe shook the world to its core, held itself to a higher ideal of universal dialogue and peaceful co-existence; two concepts the Nazis didn't exactly hold in high esteem. Austrian diplomat Kurt Waldheim served as Secretary General of the United Nations from 1972 to 1981. When Waldheim was running for President of Austria in 1985 a popular Austrian paper began to raise questions about his role during the war. He had admitted to being in the German army but said he had no choice and spent the war "confined to a desk". But in the wake of the paper's initial article others began to dig into Waldheim's past and allegations surfaced that he had not, in fact, been hiding in the hinterlands behind a desk during the war but was, allegedly, a member of the SS and had, again allegedly, participated in the reprisals against partisans in Greece. Waldheim called the allegations "pure lies" though he did later admit that he was aware that most of the Jewish community in the town near where he was stationed in Greece were being rounded up and sent to Auschwitz, something he'd previously denied any knowledge of. In the end the controversy surrounding Waldheim seemed to degenerate into a series of allegations and counter-allegations none of which went anywhere substantive but which nonetheless served to permanently sully Waldheim's reputation in the eyes of millions around the world. He died in 2007 and though he was given a state funeral no sitting heads of state were invited. A telling sign of just how far he'd fallen. They just don't make 'em like this anymore. Melodic, ironic, lean and mean it's one of my favorite driving songs. Ronald Reagan ('81-'89) was the first president to serve two full terms since Dwight D. Eisenhower in the 1950s. Copyright © 2011 Nonstop 80s All rights reserved.